One of the most well-known phrases from Sri Aurobindo’s works is “All life is yoga.” No one lived this credo more thoroughly than its author. A new compilation introduced in this issue bears witness to Sri Aurobindo’s involvement in the many aspects of life by focusing on his social and international vision, his penetrating insight into the affairs of men and nations, as part of his spiritual work for the world. Sri Aurobindo: A Contemporary Reader takes a modern-day look at some of Sri Aurobindo’s writings in these fields, showing, for example, how his insights on self-determination can help us unravel the complexities of today’s human rights discourses and better understand the concept of identity politics. The strength of his vision in the realm of international affairs is strikingly revealed to the modern reader whose historical perspective can provide a clear-eyed appraisal of the relevance of statements made in the first half of the 20th century. There is a fascinating example included near the end of the book that records how Sri Aurobindo’s insight in 1950 on the Korean conflict foretold the possibility and consequences of China’s aggression against India in 1962. On June 28, 1950, Sri Aurobindo wrote a letter to K.D. Sethna, editor of Mother India, in reply to his question on the conflict in Korea, describing the situation there as “the first move in the Communist plan of campaign to dominate and take possession first of these northern parts and then of South East Asia as a preliminary to their manoeuvres with regard to the rest of the continent—in passing, Tibet as a gate opening to India.” Some months later, in the wake of China’s invasion of Tibet in October 1950, Sethna wrote an editorial “The Truth About Tibet” which elaborated on the views expressed in Sri Aurobindo’s earlier letter to him. Years later, in 1962, the Chinese aggression against India created international concern. In March 1963, Sudhir Ghosh, an Indian emissary of Prime Minister Jawaharlal Nehru, had a meeting with President Kennedy in Washington D.C. and shared with him a letter from Nehru dated January 5, 1963, “on the problem posed by the military power of Communist China”. He also showed the president the following excerpt from that Mother India editorial dated November 11, 1950, referring to it as “the last testament of Sri Aurobindo”. Though this was not written by Sri Aurobindo himself, it is clear from the full content of his letter to K.D. Sethna on the Korean War that the editorial represented his general views on the subject. The basic significance of Mao's Tibetan adventure is to advance China's frontiers right down to India and stand poised there to strike at the right moment and with the right strategy—unless India precipitately declares herself on the side of the Russian bloc. But to go over to Mao and Stalin in order to avert their wrath is not in any sense a saving gesture. It is a gesture spelling the utmost ruin to all our ideals and aspirations. Really the gesture that can save is to take a firm line with China, denounce openly her nefarious intentions, stand without reservation by the U.S.A. and make every possible arrangement consonant with our own self-respect to facilitate an American intervention in our favour and, what is of still greater moment, an American prevention of Mao's evil designs on India. Militarily, China is almost ten times as strong as we are, but India as the spearhead of an American defence of democracy can easily halt Mao's mechanised millions. And the hour is upon us of constituting ourselves such a spearhead and saving not only our own dear country but also all South East Asia whose bulwark we are. We must burn it into our minds that the primary motive of Mao's attack on Tibet is to threaten India as soon as possible. Choosing his selections from five works by Sri Aurobindo – The Ideal of Human Unity, The Human Cycle, War and Self-Determination, The Foundations of Indian Culture, and Autobiographical Notes and Other Writings of Historical Interest – the editor of this compilation presents aspects of Sri Aurobindo’s vision for the future of humanity in the context of the “crisis of contemporary culture”. Part I is a long essay by the editor which introduces the four major areas of concern to be examined: the tyranny of the State idea, religion versus secular modernity, the problem of self-determination, and identity politics in a multicultural society. Each chapter in Part II is dedicated to one of Sri Aurobindo’s works and begins with an editor’s prologue, which provides an overview of the work in the context of the discussion. The book underlines Sri Aurobindo’s role as a cultural critic who applied his yogic understanding to the arena of contemporary society and politics. His views on these topics, mostly written for the monthly review Arya in the early years of the twentieth century, have a continuing relevance for today’s social discourses. 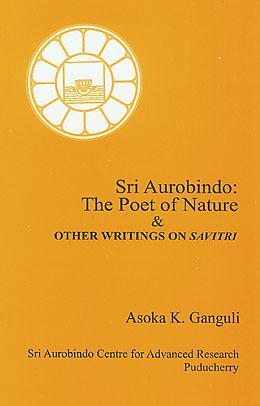 A former teacher of English literature at university and post-graduate levels, the author of this critical study presents several important aspects of Sri Aurobindo’s spiritual poetry in his epic Savitri. 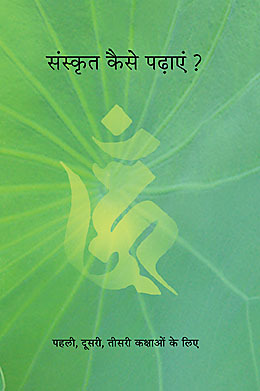 In the first section the author highlights the often-neglected subject of Sri Aurobindo as a poet of Nature. He points out how Sri Aurobindo’s concept of Nature differs from that of other poets and then shows the workings of Nature in Inconscience, in Ignorance, and in the Transcendental plane as portrayed in Savitri. The second section deals with how Sri Aurobindo uses imagery, similes, and metaphors, while in the third section he explains Sri Aurobindo’s new concept and vision of Death. The final section describes the treatment of science and evolution in Savitri as representative of Sri Aurobindo’s embrace of all aspects of knowledge and thought in his integrated vision of life and spirit. Since the early 1930s sadhaks of the Sri Aurobindo Ashram took to writing poetry as a means of opening themselves to the higher planes of consciousness. Many of these poems were sent to Sri Aurobindo for comments and corrections, and several disciples achieved remarkable success in their efforts. This compilation of spiritual poems by devotees of Sri Aurobindo and the Mother reaches back to those early days of the Ashram but also includes more recent poems written by people living in Auroville and elsewhere in the world. The common theme is the devotional nature of the poetry, whether by established poets or those who show promise or merit in their inspiration and poetic execution. Included at the end are a few extracts from Sri Aurobindo’s book The Future Poetry. 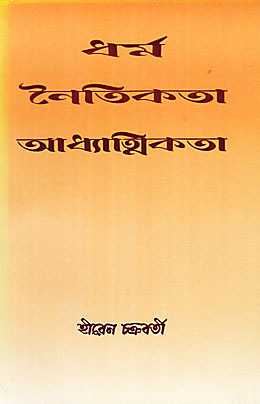 This book is a collection of articles, mostly in English but also in Bengali, that appeared in journals such as Mother India and Srinvantu. In these the author, who has lived in the Ashram since 1956, expresses her adoration of Sri Aurobindo and the Mother, muses on various themes inspired by their vision, and fondly reminisces about old disciples such as Amrita-da, Dyuman-bhai, Millie-di, and many others. Thoughtful and delightful reminiscences of a disciple, covering contacts with the Mother over a period of forty years.